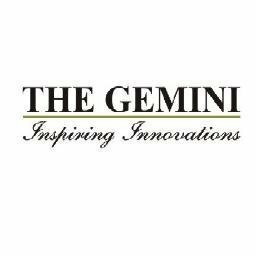 Work for The Gemini Hospital Management Software? Learning about The Gemini Hospital Management Software? What Healthcare Analytics solution do you use? LexisNexis MarketView delivers medical claims-based intelligence to healthcare organizations across the United States. eHelpDesk is a HMS that comes designed with features along with the hospital management features.The feature list includes customer service, help desk, dashboard, IT service, ITSM, remote support and issue tracking features. UpToDate helps clinicians to provide better patient care. Key product features available to users with registered accounts or individual subscriptions. iVantage Performance Manager is an integrated performance management platform that drives results by helping organizations assess and benchmark current performance; identify areas of opportunity for improvement; collaborate to set meaningful targets; create, track and manage initiatives; and engage with others to share best practices through a peer-to-peer community. With interfaces to any data source, Foundations healthcare analytics software correlates and displays information so that a variety of users can easily understand their data and operational processes, in their business language, with context, through an intuitive and personalized experience. It is the source of truth. * We monitor all The Gemini Hospital Management Software reviews to prevent fraudulent reviews and keep review quality high. We do not post reviews by company employees or direct competitors. Validated reviews require the user to submit a screenshot of the product containing their user ID, in order to verify a user is an actual user of the product. Hi there! Are you looking to implement a solution like The Gemini Hospital Management Software?